Hey Everyone, Kya here once again! I hope everyone had a great Thanksgiving! Time waits for no one, and I’m busy preparing for upcoming holidays! I know I myself am excited for Christmas, as that means more Orks and cards coming in my way! Due to massive computer problems, this article is going to be fairly shorter than my usual long-winded rants. 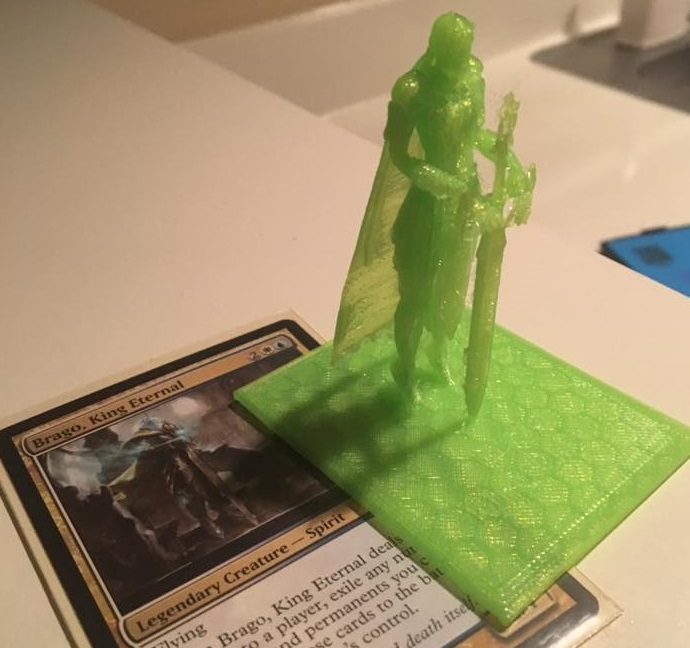 I wanted to do something different from my typical articles, while still providing 3D prints as the high lords of EDHREC demand. So I thought of using today’s article to discuss a topic that’s always bugged me a bit about how people view EDH. One thing I’ve never quite agreed with was the tendency to try rating Commander decks by tier – or really, as most folks do it, rating the commanders themselves by tier. While I agree that some commanders certainly give a stronger advantage then others, it is near impossible to judge an entire deck based on the commander card itself. This becomes an issue of immediate hostility at first sight. Some commanders definitely have a bad reputation that is near impossible to diffuse; good luck trying to convince everyone that Zur the Enchanter or Jhoira of the Ghitu decks should not be immediately targeted. Granted, these are extreme examples, as their abilities can provide an overwhelmingly strong advantage. However, if the deck does not support the abuse of these abilities, are these decks truly deserving of the ‘kill on sight’ list? How does one know right off the bat that Zur will immediately combo off, or if Jhoria will wipe everything off the field? Quite simply, no one does, but assumptions from probable past games are made. I will probably pick up on those two commanders in later articles, but for now I thought it would be interesting to find a commander who is also known for shenanigans, though at another level. He sort of… flickers… in and out of people’s minds. Let’s discuss the king of ghosts, shall we? That’s right! 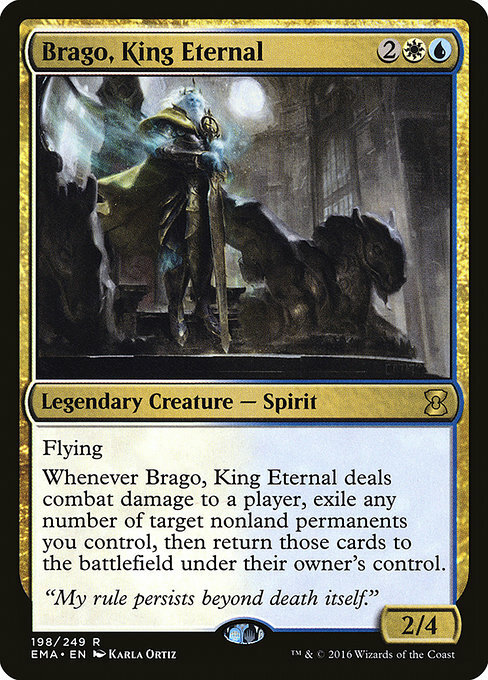 We’re going to dive into one of my favorite super-hated commanders, Brago, King Eternal! He’s an overwhelmingly easy commander to abuse outright, as his ability can actually allow you to combo off out of nowhere (more on that later). What’s more, his ability also allows you to abuse stax effects, forcing others to suffer as you find ways around the pain. I myself have a very competitive Brago deck, which I will list out towards the end of this article. However, does Brago deserve the hate? Having a creature that depends on combat isn’t exactly ideal. Using his ability on himself definitely doesn’t do much, other than allow him to block next turn (pro tip, by the way, cuz some folks forget that Brago can target himself). So what makes him so frightening? The cards he flickers, of course. We can all agree that flickering Reality Acid or Tangle Wire is pretty dirty. However, is it right to judge someone playing Brago without seeing the deck itself? Today we’re going to explore the casual and fun layers to make people feel a bit more comfortable seeing this specter floating about. Then, of course, at the end, we’re going to dash their feeling of safety with some absolute terror! Brago can be a fairly casual and silly deck if allowed. I don’t think it’s played enough, but Token Brago is always a thing. It takes a while to get going and can always be ended by a single boardwipe. 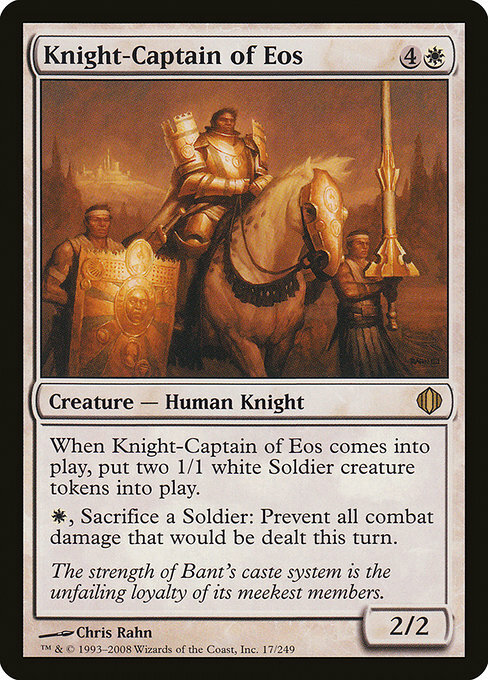 By adding in plenty of token generators like Knight-Captain of Eos and some value cards like Mulldrifter, Brago can present a simple, low, but consistent threat until the buildup becomes overwhelming to the rest of the table. Of course, Brago allows for fun Clone effects as well, which are often only as dangerous as his opposition, since Clones like to copy other people’s big stuff. The point is, with cards like these, we see Brago’s great potential to be fun for everyone at the table. People like tokens because they’re fun to assemble and easy to deal with, being one of the more common EDH archetypes. Especially with the lack of green, there isn’t a lot to suddenly buff up the tokens to cause one-turn murders. Everyone sees it coming. At this point, if a deck is centered around this theme, is it truly worth the hate in your eyes? If you knew about the deck beforehand, likely not. Tokens not doing it for you? We can kick it up a notch! Well, a little bit at least. What makes Brago something to be feared is the fact that there are many ETB effects out there. Some range into fairly harmless abilities, but there are many that can change the tide of battle. 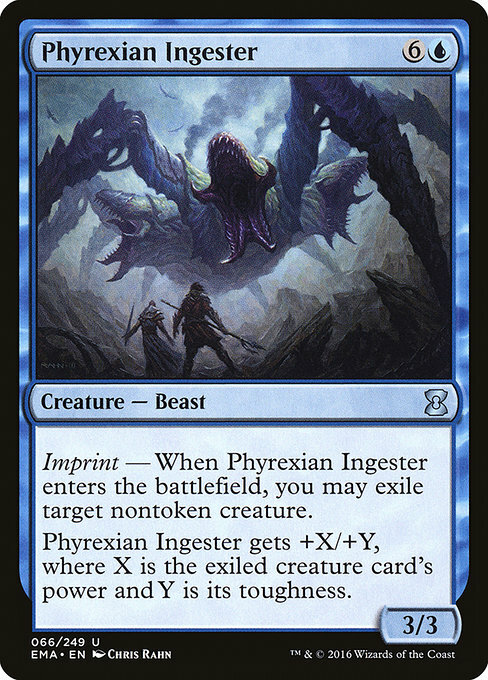 Treachery, for example, not only steals a creature, but adds extra value as well by untapping your lands. 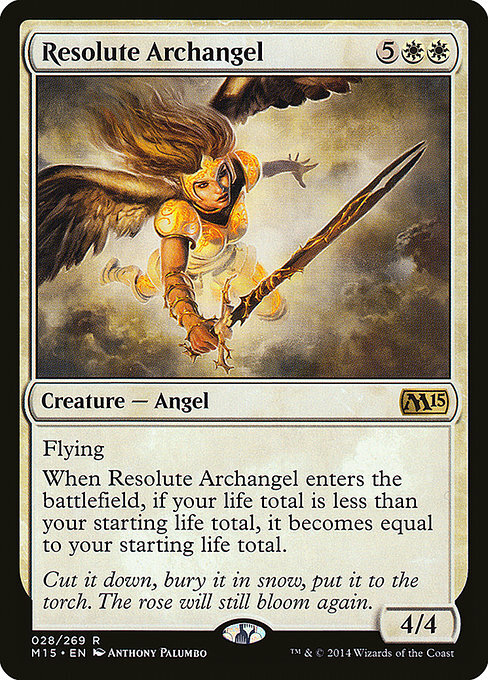 Resolute Archangel is fairly janky and allows you to survive a bit longer, but you definitely won’t win with her alone. 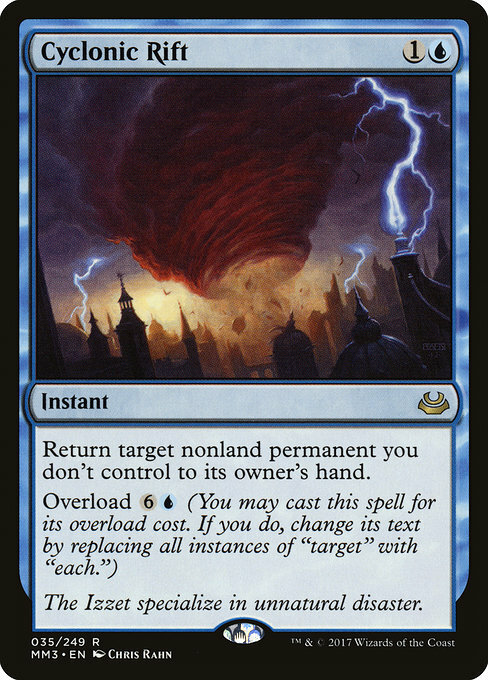 Finally, there are many tutor and recursion effects that help pull back ideal cards in a pinch. This is where things begin to get rude. Truly what makes Brago frightening is the ability to flat out abuse the ETB abilities to the point of denying people their plays. 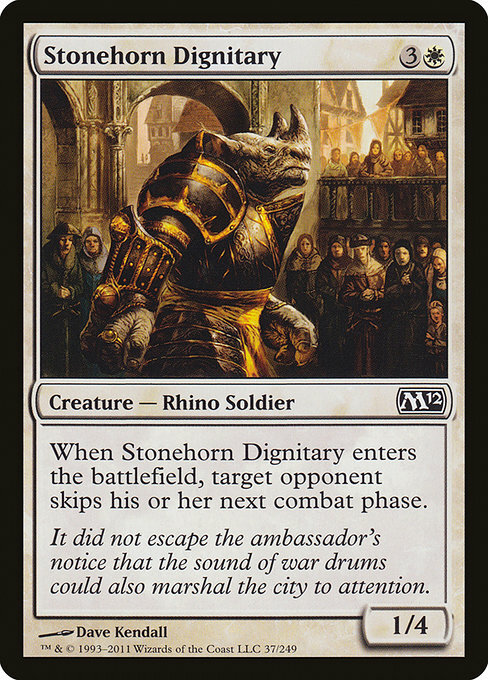 Removing all creatures from play with Phyrexian Ingester or denying combat steps altogether with Stonehorn Dignitary can be pretty rough. Typically when you start getting serious with Brago, you can still avoid the true abuse he potentially enables. The cards above are mean, because they prevent your opponents from using their cards, but they don’t completely shut things down. 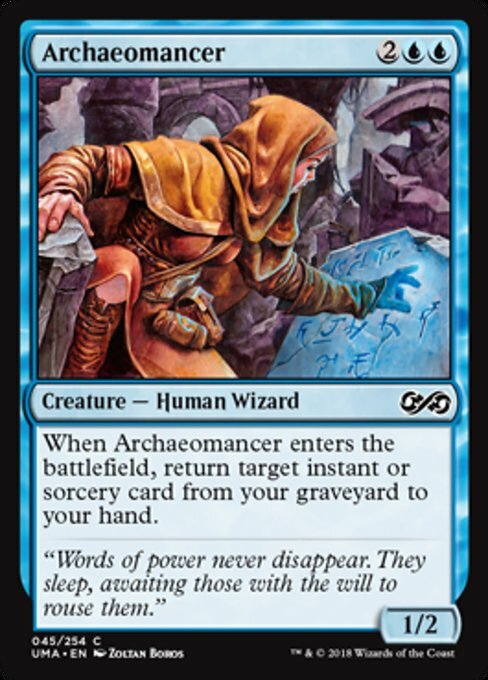 In that spirit, I think we’re good is we “accidentally” add in Snapcaster Mage and Cyclonic Rift, just in case things go south for us. The point is, with a few extreme convoluted examples, we can allow the deck to be reasonably stopped with good player interaction, while still being a constant threat. What truly comes to play at this point is moderation. Brago Flicker is a deck type where you can completely modify its power level to your playgroup’s desired level. What if we’d like to crank that power level up, up, up? Here’s where Brago shows his true potential. The true power of Brago is reached by maxing out his efficiency, allowing you to cheat in mana while denying mana resources to others. 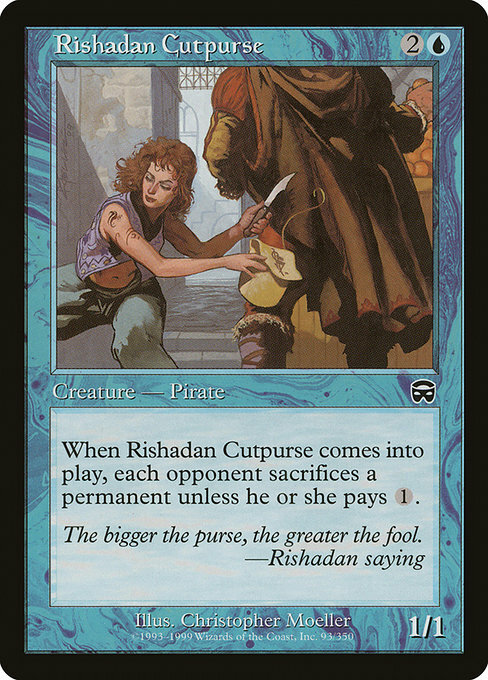 With various stax effects like the aforementioned Tangle Wire, or the addition of a nasty ability like the Rishadan cards, your opponents will slowly lose their resources, removing their ability to play the game entirely. 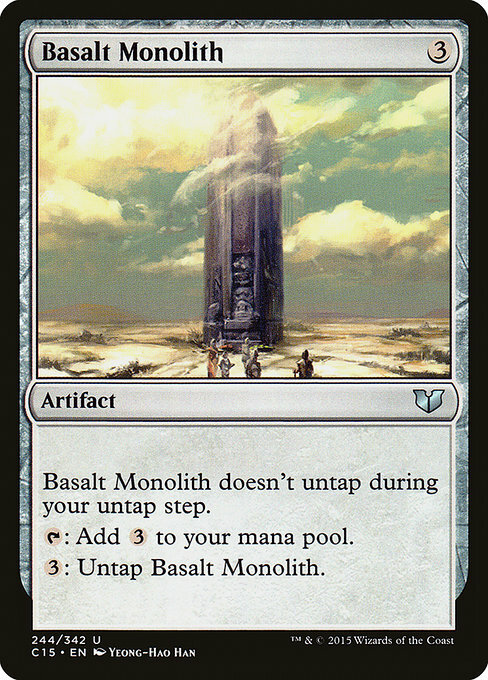 Meanwhile, you can add in cards like Basalt Monolith to flicker, resetting them untapped to they can continue to provide mana. Things get even worse when you add in cards like Strionic Resonator – if you duplicate Brago’s trigger with the Resonator, you can repeatedly flicker and reuse the Monolith and the Resonator over and over and over, netting an addiitonal mana each time, until you’ve gone to infinity and beyond. Now you’re intentionally going out of your way to build an optimally abusive deck. That, in a nutshell, is the point of today’s topic. Poor Brago himself wasn’t responsible for the player’s decision to play it rough. In fact, you had to go pretty far out of your way to ensure your deck was this nasty. 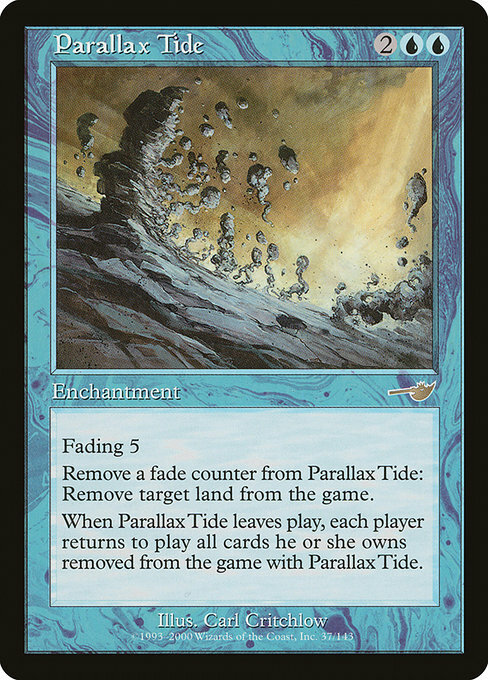 By no means does someone unintentionally add in stax effects that force others out of the game. That is a player-based decision, and it reflects more on that player’s mindset than it does on the commander itself, and yet Brago is the one who gets famous for being abusive. I think the overall true tragedy of Brago is that you actually end up removing a lot of the best flicker cards in the quest to make Brago more competitive. Rather than blinking Myr Battlespheres and friends, the focus instead becomes something outside of his original focus: stax. 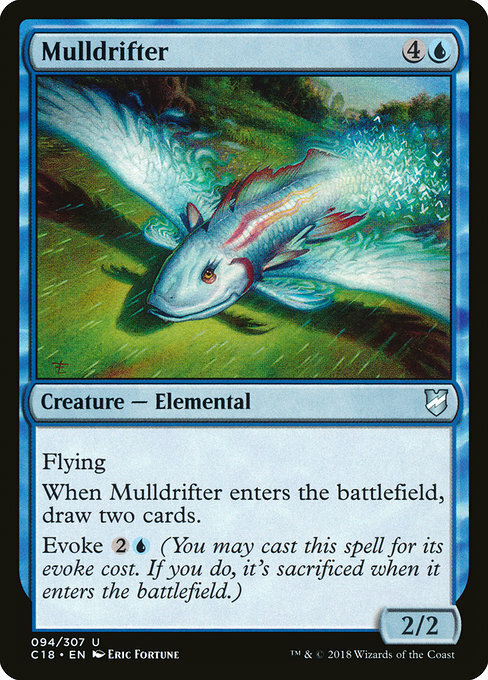 Tuned lists only abuse a very limited pool flicker-able cards while throwing in a ton more stax cards that are certainly powerful when paired with his ability, but don’t really have to have anything to do with him or the things that make his abilities fun. Poor Ghost King. So, if you found anything I mentioned worth value, I ask you now: how do you react when a new Brago player joins the table? As I briefly showed, the power level of this commander’s deck can range wildly. If you’re playing a friend who made a Brago deck for the first time, think back to their other decks. Do they typically play expensive low-cost mana rocks and cutthroat combos? 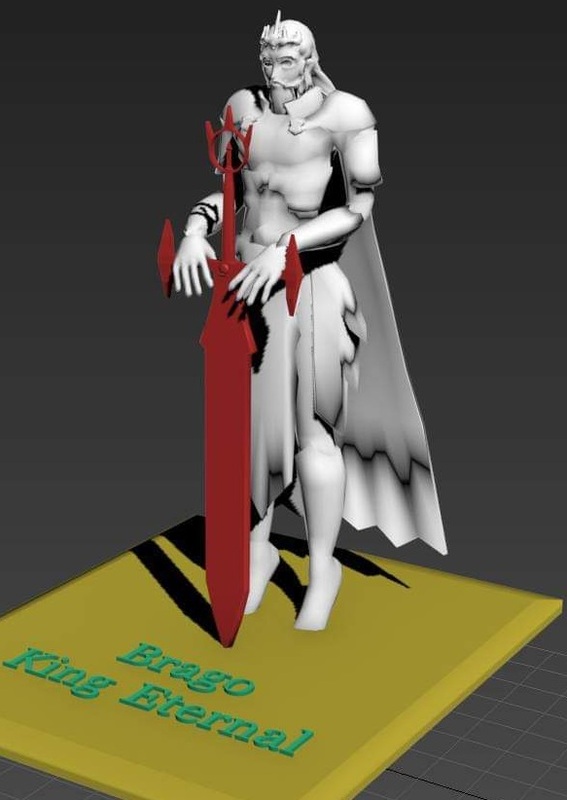 Well, that’s probably the best way to assume how Brago is coming out. 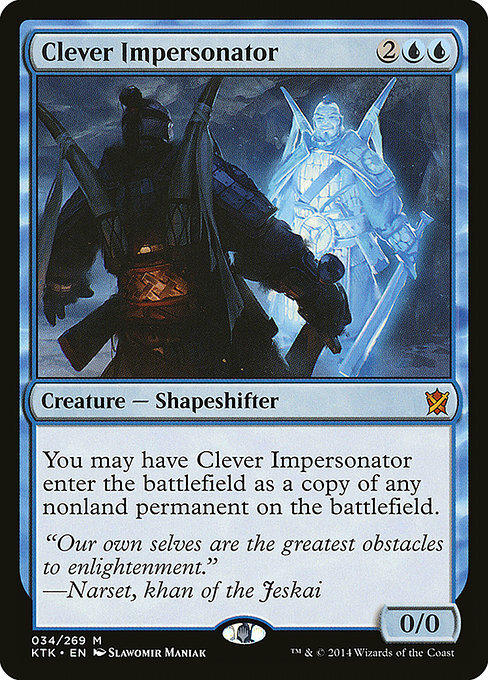 Alternatively, is this a brand new person showing up at your LGS? If so, don’t assume it’s a hyper-tuned list. The first and easiest step in this case is just to ask! Ask them their perceived power level of their deck. Are we playing casual or a bit more competitive? Do they even know what ‘stax’ means? That’s not a term all Magic players know, after all! There’s a range of power with commanders, even if they are famous for specific strategies. I Will Flicker Your Flicker! That glorious beard was not easy to make! I wish I had old pictures to show you the silly transformation that happened. All I have is the before-he-was-painted picture below. He actually ended up being very useful o hiding cards under him while I was ordering effects to go on the stack! Enjoy Your Own Brago Here! Finally, let’s end this article with a bit of a collaboration. One of the best aspects of writing for EDHREC is the ability to confer with the other writers. One day, Dean Gootee approached me with a great idea. 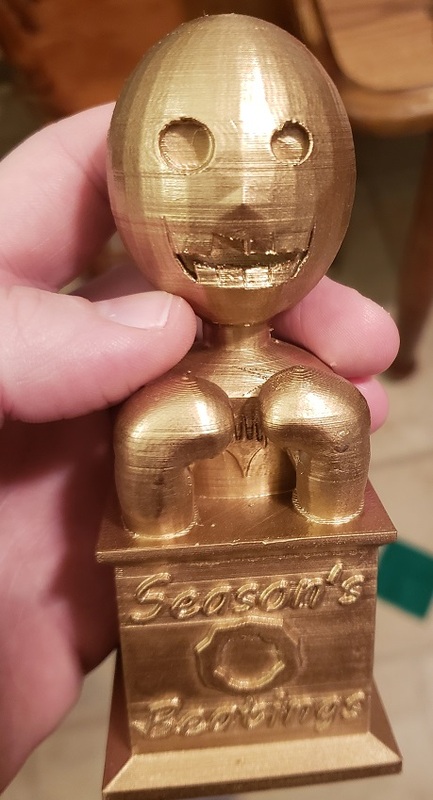 He wanted to create a goofy trophy for his league for the holidays. After a few quick talks, he created a sketch for his ideal trophy. Being the 3D master, I quickly brought his dream to life! Behold! 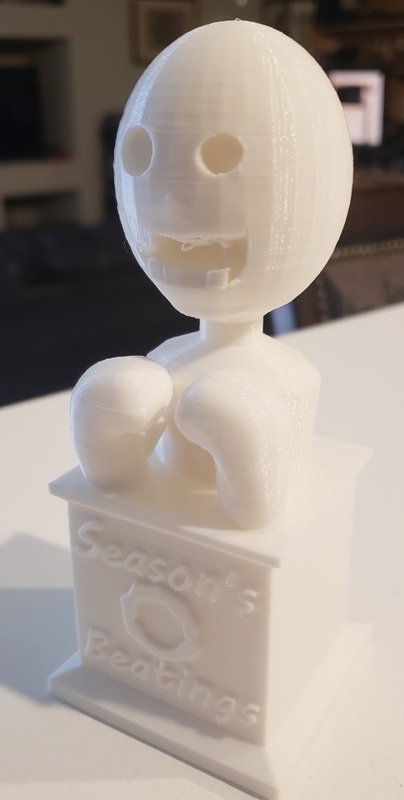 The Seasons Beatings Trophy! A beautiful representation of how to have a bloody good time with your best of friends, just in time for the holiday! All it took was a quick spray paint to make a random idea to reality. Just because you may not have the ability to mold material into shapes doesn’t mean you don’t have great ideas. Partner up with your creative friends to find interesting ways to make Magic: the Gathering more fun! Just like we can make Brago fun for everyone, too!